Offset stormed the stage at Cardi B’s concert. It was anything but romantic. HomeOffsetOffset stormed the stage at Cardi B’s concert. It was anything but romantic. When will men stop stealing the spotlight during women’s professional achievements? In the new A Star Is Born, there’s a scene in which Bradley Cooper’s character, Jackson Maine, gets drunk out of his mind at the Grammys while his partner is winning a major award, storms the stage during her acceptance speech, and then urinates on himself in front of everyone. If we lived in the Star Is Born universe, Vulture has suggested, Jackson’s actions would undoubtedly have launched a thousand feminist think pieces with titles like, “Jackson Maine Is a Reminder That Our Era of Powerful Women Is Also an Era of Sad Men Peeing Their Pants.” We would all have a lot of earnest discussions about how some men are so insecure that they can’t handle it when their partners succeed, and so they repeatedly find ways to make their partners’ professional success about them instead. We would remind everyone that there are better ways to handle your jealousy than peeing yourself on camera. To be clear, Offset did not literally pee his pants. But he did storm the stage at a Cardi B concert to demand that she take him back. Offset and Cardi B got married last year, and they have a daughter together. 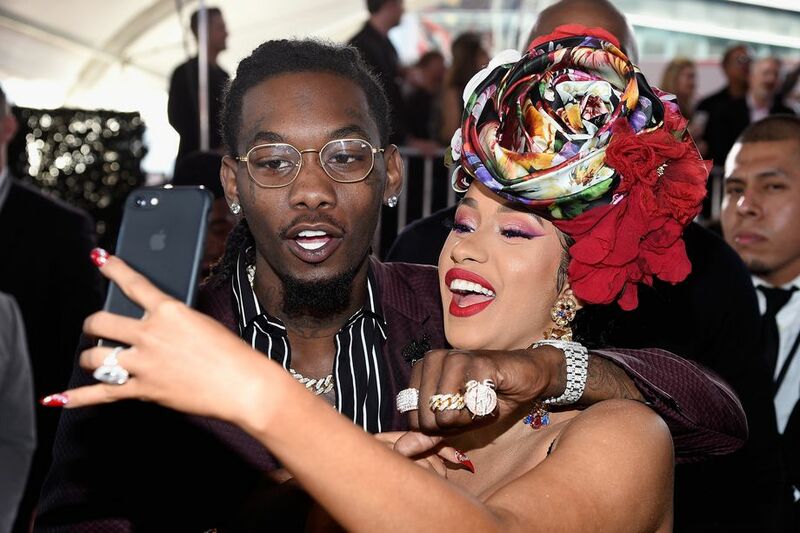 But earlier this month, Cardi B announced that she was leaving Offset amid widespread rumors that he was cheating on her. In other words, Offset appeared at Cardi’s place of work apparently without her consent, while she was in the middle of doing her job, to steal the spotlight for himself and make everything all about him. Stealing the spotlight during moments of women’s achievement with a big, allegedly romantic gesture is not an unusual move, even among men who aren’t begging for their partners to forgive them after reportedly cheating on them. The most popular version of this move is, “Oh, my girlfriend is accomplishing a major professional/personal goal? Better make it all about me by proposing!” During the 2016 Olympics, it became a bit of a miniature trend for men to propose to their Olympic athlete girlfriends as the women were in the literal act of accepting their Olympic medals. And just this November, a dude interrupted his girlfriend as she was halfway through running her first marathon so that he could propose to her. But Offset’s move is arguably worse than the big public proposal move, because Cardi is the wronged party here. Offset is supposedly trying to make up for his mistakes, with a public mea culpa delivered via a grand display of “romance” — but instead, he took a moment of Cardi B’s professional achievement and made it all about him. He pulled a real Jackson Maine.